One of the great features of YouTube is that you can subscribe to users and channels you are interested in. If you do so on site, you receive update notifications on your subscriptions page and various other places on YouTube. Each update by a subscribed channel would be displayed directly to you on YouTube. If you wanted, you could also subscribe to a public RSS feed that would deliver those video updates to your favorite RSS reader. If you have done that in the past, you may have noticed that feeds stopped updating some days ago. That in itself may not have been cause for concern, but if you checked the subscriptions page on YouTube directly, you may have discovered that new videos were published on them. The conclusion is simple: the feed feature is not working anymore. 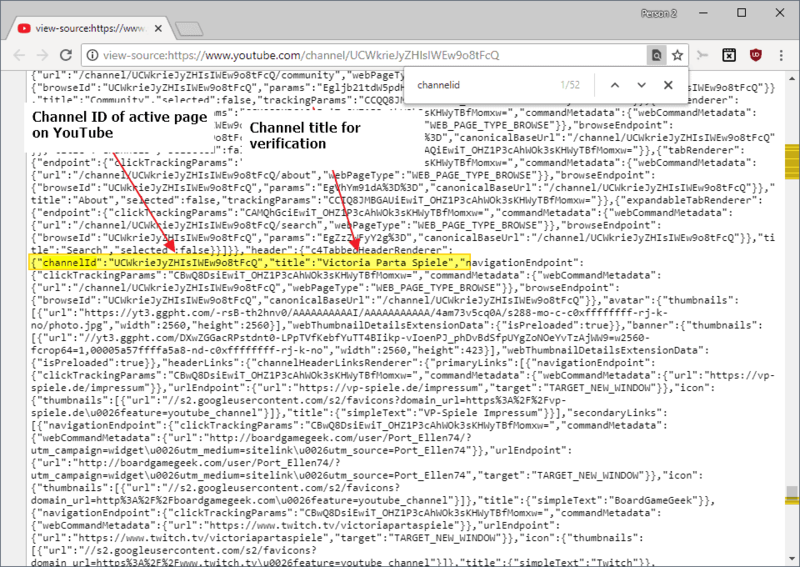 According to ArsTechnica, it has something to do with the switch from YouTube Data API 2 to YouTube Data API 3 and the retiring of the former. It appears that the new version of the API does not support this feature, and that support requests have gone unanswered mostly since January 2013. When you try to open the feed url in a web browser, you get a forbidden message instead of a list of the most recent videos published on the particular channel. Feed validation services such as the one from the W3C return the same information. Workarounds are discussed on this Google Code page. The problem is that none are that easy to follow. One requires you to run a Python script and get a server API key, one to get an OAuth2 token and modify the feed url based on it, and another is a php script that you can run locally or on your server. If you are tech savvy enough, you may be able to get this working again, but if you are not, you are more or less at the mercy of Google to introduce the same feature again to the site. Instead of using the subscriptions feed, you can subscribe to individual channels instead. The advantage is that it still works and is easy to accomplish, the disadvantage that you may need to subscribe to quite a few channels for the same information, and that they are separated by channel or user. You don't get one feed that displays all video updates, but multiple feeds instead that you need to go through. Open the channel page of the channel that you want to subscribe to. Right-click somewhere on the page and select to view the source code. Search for channelId on the page by using Ctrl-F. Copy the channel ID, e.g. UCTXcFtY-7QMrIJdy-MDR8Mg. Note: You may find different channel IDs on the page and may need to copy multiple one at a time to find the right one. Tip: the title of the channel should be displayed next to the channel ID (see screenshot). Note: The following information is out of date as Google changed the functionality yet again. You can use the method described above instead. Open the videos page of the user that you want to create an RSS feed for. Right-click on empty space there and select the view source option from the context menu. Press F3, type rss, and copy the url displayed here to your feed reader. Considering that the first bug report dates back to January 2013, it is unlikely that a fix is high up on Google's priority list. A Google employee confirmed in January 2014 that a patch was in the making but four months later nothing happened in this regard so that the feature stopped working in the past couple of days. Google has disabled the option to subscribe to user subscription feeds on YouTube. Find out what you can do about it. Mine’s been dead for 5 days or so. I’ve Starred the couple related bugs so I can follow them, and other people are coming up with some pretty creative workarounds. This is really a bummer, I enjoyed this feature. On the bright side, I’ll probably spend less time watching youtube videos now. Are RSS feeds used a lot? I’ve actually never used one ever. I probably don’t even know how. Why is Google trying to shut them down? Security? Probably due to the severe lack of advertising interaction (which makes RSS just the thing for people who prefer simplicity). I use RSS feeds every day and would be lost without them. Having to keep track of information as part of my job, I have a drop-down menu of RSS site feeds that I click on and instantly check for updates at a glance. I’ve yet to find anything as easy and effective as a replacement. I am disappointed to hear that Google is phasing them out. Really disappointed. I can’t speak to how much they are used, but it certainly the most efficient way to follow lots of websites through a single simple article reader. Bobby, it is the fastest most comfortable way to stay in the loop. I’m subscribed to hundreds of sites and receive a notification the minute a new post goes live on them. the best thing about that is you have all feeds in one spot. When I click on the RSS feed icon I see for each subscription how many new topics there are. (that’s how I follow Ghacks) When I see a topic that interests me I open up the page with a single click and this opens in a new tab. finally when there are no more topics of interest I mark the rest as read. So I really don’t think Google is shutting this down for security, “the severe lack of advertising interaction” id indeed probably the bigger short sighted reason. If I were to follow these without RSS I should check each page separately, which would indeed give more add revenue. But as with the Music-Piracy claims, I would not go 5 times a day to 20 sites just to check if there is news that interests me. Instead I would grow weary of that on stick to the most interesting site. So Google thanks to RSS I get you more add revenue then without RSS. I agree. I would not have enough time to check out sites manually, or browse through dozens of email newsletters a day. The only solution here would be to limit the sites to the ones I really like, and ignore the rest. But RSS won’t go away, it is only Google that seems to dislike it somehow. I live in my RSS reader, which was Google Reader until they killed it. Now using InoReader for most things, and Feedly for my YouTube “new subscription videos” and ~2,000 Bandcamp feeds. I’m guessing their bean-counters are saying it’s not worth keeping around because they can’t monetize it enough. Unless the cost to maintain the RSS code is very high, why would any vendor cut a service that brought more eyeballs to their advertising driven content? Doesn’t make sense. I don’t know about cost of rss, but simplifying systems seems to be the trend these days. I thought abot the eyeballing you mentioned and I figured if you have 500 or 1000 things you like to follow then working out what your preferences are via rss could be difficult. Google want to offer their company clients really good targeted advertising to maximise returns. As rss items may be very diverse subjects, aggregation probably yields useable, but very generalised results. Forcing you to prioritise reduces that number considerably 10-20 or even 50 or so sites that are visited regularly each day? that bit of effort means they are important to you. Track those hits and it will be more indicative of your current needs than an rss feed which could be dated/bloated. Which logic sounds similar to what Google has been trying to do with Gmail when you access it through Chrome. Some months back, they made you choose one email (if you had multiple Gmail accounts) and they have attempted to channel people into this one account. If you want to logon to another Gmail account, you have to click through 2 or 3 additional screens to temporarily “add” the other email account. I thought they were doing this originally to try to force people to use one email account for G+ but maybe they are looking to better target ads by forcing you into a single Gmail account? Which doesn’t make sense because there are many reasons to have multiple email accounts (personal use, work use, specific group use, etc.). Luckily I subscribe to the separate feeds. This isn’t really a surprising move on google’s part. I am curious though when they will finally pull the plug on FeedBurner… I believe that’s been mostly abandoned. Google continue their 2013 form by marching forward to be the definition of Evil in the Tech World. > You don’t get one feed that displays all video updates, but multiple feeds instead that you need to go through. Yeah that should work. I thought about adding information about Pipes or other feed merging services, but decided against it. It is quite technical after all. I have recently started using a small utility called “rsshandler” (https://code.google.com/p/rsshandler/) to create RSS feeds from Youtube and Vimeo channels to feed my “Miro” podcast client. it works well with Itunes and probably other RSS clients too. No option in rsshandler to get my “latest subscription videos”, which is really all I’m after. today the feed is now back to work for me!